The government of Japan on Monday announced the recipients of its Spring 2013 Decorations from the jurisdiction of the Consulate General of Japan in Los Angeles: Kaneko Bishop, president of the San Diego-Yokohama Sister City Society, and Thomas Iino, chairman of the U.S.-Japan Council. The conferment ceremony for Iino will be held in Los Angeles at a later date. Bishop will attend a conferment ceremony in Tokyo on May 15. Kaneko Bishop will be awarded the Order of the Rising Sun, Gold and Silver Rays for contributing to the promotion of the regional relationship between Japan and the United States. Born in 1930 in Nagoya City, Aichi Prefecture, she practiced Japanese tea ceremony and ikebana since childhood. After studying English at an English language school, she served as manager of inventory operations for the U.S. Air Base Exchange system in Japan. She married her current husband, an American, and moved to the U.S., eventually settling in San Diego. For the last several decades, she has been active in San Diego civic affairs, serving on the San Commission on Human Relations, the San Diego International Affairs Board (as vice chair), and the Board of Trustees for the Mingei International Museum. She also helped promote and organize many projects and programs to promote greater understanding of Japan and Japanese culture, including the Japanese Friendship Garden in Balboa Park, where, as one of the founders, she raised the funds to build the first garden project. Since 1984, as vice president of the garden, she organized and presented over 20 special exhibits, including an exhibit by world-famous Japanese calligraphers, and contributed to introducing calligraphy to citizens in San Diego. With the support of the Consulate General of Japan in Los Angeles and the Japanese Foreign Ministry, she organized a full-day cultural education seminar, “Understanding Japan Today,” for San Diego educators. Bishop was also one of the early active supporters of the San Diego-Yokohama Sister City Society, which was established in 1957 to strengthen and promote the relationship between the two cities. She became president in 2002 and organized many cultural exchange projects, including the exchange of friendship delegations and major gifts, such as the “Girl in Red Shoes” statue in San Diego and the “Patience” sculpture in Yokohama. In recognition of her efforts the society was awarded City of Yokohama’s 61st Cultural Award in November 2012. Most recently, as the president of the society, Bishop organized a fundraising effort for the victims of the 2011 earthquake and tsunami in northeastern Japan and sent over $10,000 in donations. For the San Diego-Yokohama Sister City Society’s role in promoting mutual understanding and friendship between the two nations, she was awarded the Commendation of the Consul General in November 2012. 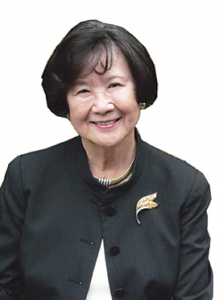 As a professor of Japanese tea ceremony, she has introduced and promoted Japanese culture through tea ceremony demonstrations and lectures at universities, museums, the Japanese Friendship Garden, and many civic and social organizations. Iino will receive the Order of the Rising Sun, Gold Rays with Neck Ribbon for contributing to the strengthening of the economic relationship and the promotion of cultural exchange and mutual understanding between Japan and the U.S. He graduated with a B.S. in accounting from UCLA in 1965 and began his career as an accountant at his father Sho’s accounting firm. After the retirement of his father, he was promoted to president of the firm and in 1983, after having further expanded the business, it was acquired and merged into Deloitte Touche Tohmatsu. Iino was appointed to head the Southern California International Practice, and contributed to the entry of numerous major Japanese companies into the U.S. market and the success of many Japanese American businesses. In addition, he has served as president of both the California State Board of Accountancy and National Association of State Boards of Accountancy, and currently serves as a member of the Los Angeles Mayor’s Trade Advisory Council. Through various government-related positions, he has been active as a bridge between Japanese and Japanese American businesses and California state, county, and city governments. Iino has also for many years promoted greatly to the development of the Japanese American community. 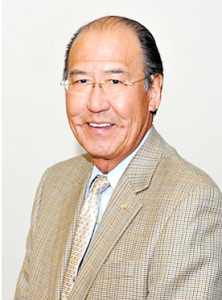 He has chaired the Board of Directors of the Japanese American Cultural and Community Center, and is currently on the Board of Directors of Keiro Senior Healthcare and on the Board of Governors of the Japanese American National Museum. Pacific Commerce Bank, where he is chairman of the board, is the only bank owned substantially by Japanese Americans in the mainland U.S., and provides loans to Japanese American small and medium-sized businesses. Furthermore, he has been a driving force in the U.S.-Japan Council since its founding and currently serving as the chair of its board. He has contributed greatly to developing people-to-people relationships with Japan through focused programs such as the Japanese American Leadership Delegation and programs addressing commercial, diplomatic and educational exchanges between the two countries. Additionally, through the leadership of Irene Hirano Inouye, U.S. Ambassador to Japan John Roos and Iino himself, in 2012 the U.S.-Japan Council established the Tomodachi Partnership, which aims to support Japan’s recovery after the Great East Japan Earthquake, strengthen long-term Japan-U.S. cultural and economic ties, and deepen the bilateral friendship. Tomodachi focuses on investing in future generations and coordinates a variety of exchange programs between Japan and the U.S.